Heat oven to 250°F. 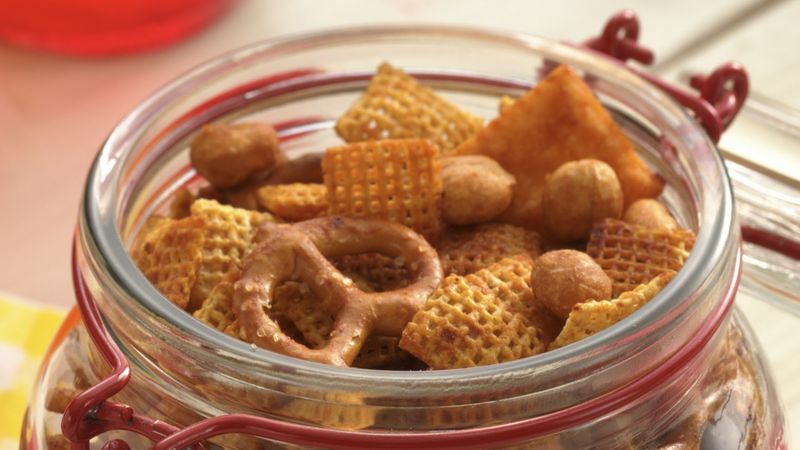 In large bowl, combine cereal, pretzels, crackers and peanuts; mix well. Set aside. In small bowl, combine all remaining ingredients; stir until combined. Pour over cereal mixture; stir until evenly coated. Spread in ungreased 15x10x1-inch baking pan or shallow roasting pan. Bake at 250°F. for 1 hour, stirring every 15 minutes. Cool 20 minutes or until completely cooled. Store in tightly covered container.